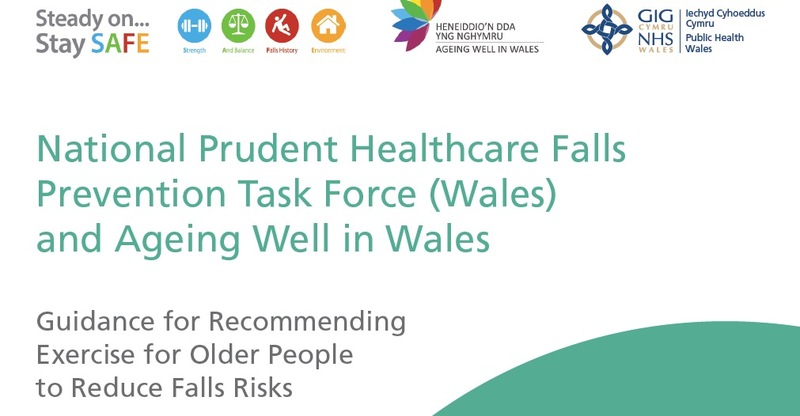 Vicki Goodwin and colleagues adapted the FaME exercises for their pragmatic randomised controlled trial looking at falls prevention in patients with Parkinson’s Disease (PD). You can view the paper here. Recruitment was from three primary and four secondary care organisations, and PD support groups in South West England. The intervention was delivered in community settings. Participants were people with PD, with a history of two or more falls in the previous year, who were able to mobilise independently. 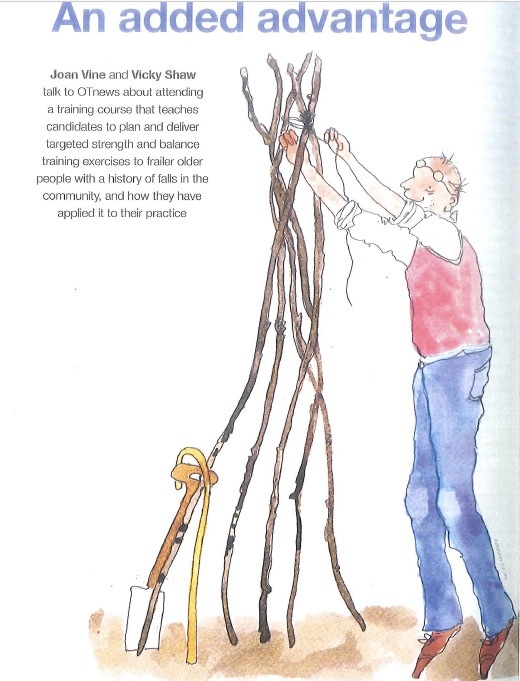 The Intervention was 10 weeks of physiotherapy led, group delivered, strength and balance training (based on FaME/PSI) with supplementary home exercises (intervention) or usual care (control). Their main outcome measure was the number of falls during the (a) 10 week intervention period and (b) the 10 week follow-up period. 130 people were recruited and randomised (64 to the intervention; 66 to usual care). Seven participants (5.4%) did not complete the study. The incidence rate ratio for falls was 0.68 (95% CI 0.43 to 1.07, p=0.10) during the intervention period and 0.74 (95% CI 0.41 to 1.33, p=0.31) during the follow-up period. Statistically significant between group differences were observed in Berg balance, Falls Efficacy Scale-International scores and recreational physical activity levels. 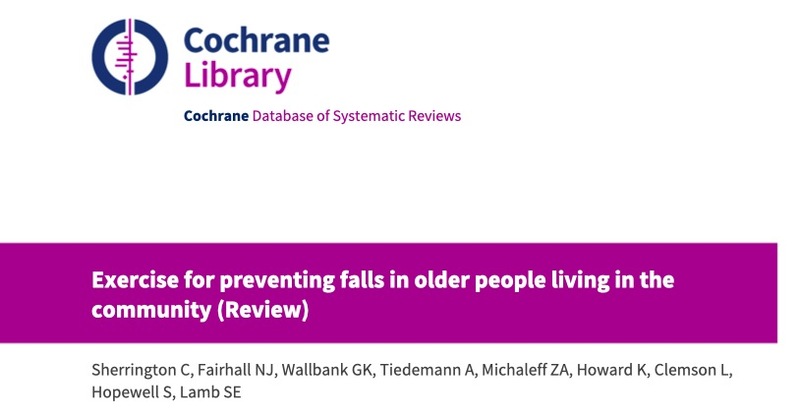 The study did not demonstrate a statistically significant between group difference in falls although the difference could be considered clinically significant. However, a type 2 error cannot be ruled out. The findings from this trial add to the evidence base for physiotherapy and exercise in the management of people with PD. The same group performed an economic evaluation of the intervention. You can view the published paper here. The mean cost of the intervention was £76 per participant. Although in direction of favour of exercise intervention, there was no statistically significant differences between groups in total healthcare (−£128, 95% CI: -734 to 478), combined health and social care costs (£-35, 95% CI: -817 to 746) or QALYs (0.03, 95% CI: -0.02 to 0.03) at 20 weeks. Nevertheless, exploration of the uncertainty surrounding these estimates suggests there is more than 80% probability that the exercise intervention is a cost-effective strategy relative to usual care. These published studies add weight to the tailoring of FaME exercises to older people with Parkinson’s Disease as an effective intervention to improve balance, increase habitual physical activity, reduce fear of falling and in just a 10 week period.